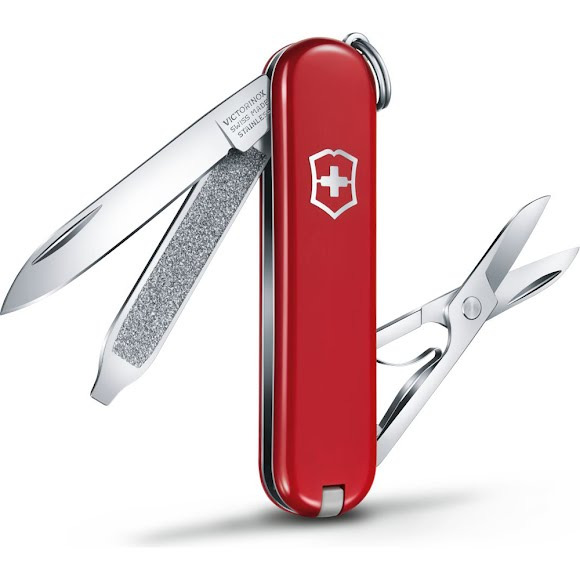 It all started with the Swiss Officer's Knife - and more than a century later, the Swiss Army Knife is still an icon of sleek functionality. Each one is built to last a lifetime and in the Classic you'll find all the functionality you need for your everyday adventures - in a package you'll want to keep with you always. It's the easiest lifetime commitment you'll ever make. It all started with the Swiss Officer&apos;s Knife - and more than a century later, the Swiss Army Knife is still an icon of sleek functionality. Each one is built to last a lifetime and in the Classic you&apos;ll find all the functionality you need for your everyday adventures - in a package you&apos;ll want to keep with you always. It&apos;s the easiest lifetime commitment you&apos;ll ever make.